It was one year ago this week that I had revisited Laos in an amazing and fun trip, seeing both old and new things. Having said that, I was reminiscing and going through my library of images. I took this one out and reworked it a bit. 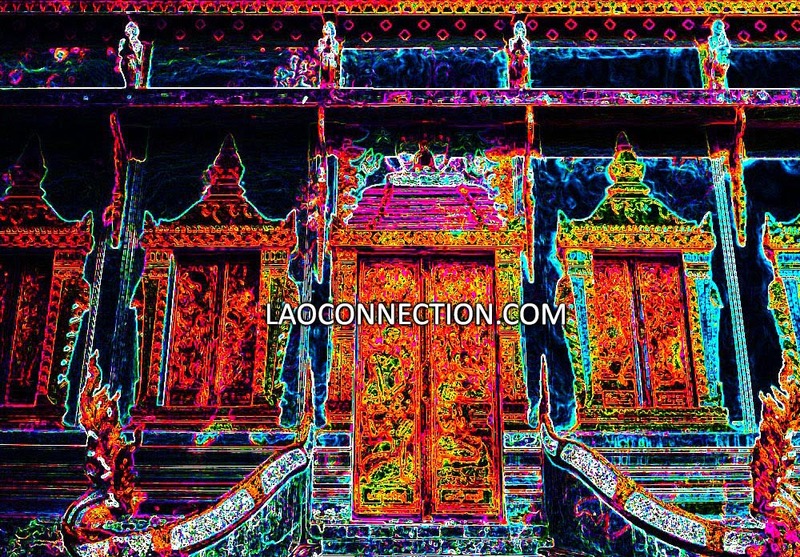 My psychedelic temple from Vientiane - somehow colorfully dark.